Practiced by more than 1 billion people worldwide, the ancient science of Classical Feng Shui identifies and manages the unseen energies that exist in our environment. Classical Feng Shui uses principles of environmental science and complex mathematical formulas to analyze exactly how the powers of the land, time and space affect individuals' finances, health, relationships, and career in any particular period. Classical Feng Shui experts use these analyses to give clients the power to harness beneficial energies while reducing negative energies. Originating in China, Classical (authentic) Feng Shui has been around since the Tang Dynasty (618 - 907). In ancient times, Feng Shui was a heavily guarded secret used by the Chinese emperors to maintain power over their dynasties and to increase their personal wealth. Today, it is used by billionaires in Hong Kong, Taiwan and Europe, Donald Trump in the USA, the Virgin Group, British Airways, the Hyatt Hotel Group and other multi-national companies. Contrary to popular belief, Classical Feng Shui is not about putting a frog with a coin on your desk or putting a water feature in your so-called "wealth" sector and thinking these things will bring you money. (In fact, doing this could actually be destroying your wealth: See my free report, The 5 Biggest Feng Shui & Vaastu Mistakes Most People Make and How to Avoid Them.) Unlike the overly simplified practices that claim to be Feng Shui, true Classical Feng Shui incorporates the influence of planetary cycles and time-tested mathematical calculations and formulas. This results in Feng Shui recommendations that are truly customized for the energies that apply to each client and each home or workplace and a particular period of time. This is why Classical Feng Shui practitioners keep clients from making "one size fits all" mistakes that commonly arise with other non-authentic schools of Feng Shui. Classical Feng Shui can be used in three situations: (1) to remedy existing problems, (2) to enhance wealth, health or relationships, or (3) to forecast future possibilities so an individual can take advantage of auspicious situations and minimize negative ones. Fixing existing problems: Negative energies can accumulate, causing an imbalance that gradually fills our environment with stress and strife. A Classical Feng Shui practitioner can detect the specific areas in the home or workplace where these negative energies are arising and put remedies into place to weaken or neutralize the negative outcomes so that we begin to experience greater calm and balance in our life. Enhancing specific outcomes: Classical Feng Shui can reveal if a building is prone to prosperity, a happy family life, fire, burglary, ill health, divorce, legal hassles and much more. A Classical Feng Shui practitioner can use this knowledge to help clients enjoy good fortune and focus positive energies on achieving a particular outcome, such as finding a soul mate, getting good grades, or prospering financially. Have you ever wondered why some places make you feel tense or uneasy, while other places give you a feeling of calm and vitality? The reason is that the earth's magnetic field and universal energies exert a profound influence. In fact, every geographic direction emits a different quality of energy. We feel the "pull" of all these energies because our brain and body are electrical conductors. In the brain, for instance, the thalamus serves as the relay center for sensory and motor activities. Neurological research shows that when you face different directions, the neurons in the thalamus fire in different patterns. Science also accepts that at a cellular level the body responds to the different directions. For example, mitochondria – the tiny parts that give a cell its energy – line up differently according to the direction in which you sleep. By aligning your body with certain energies or a specific magnetic axis, the "pull" of these natural forces flow with you rather than against you. Things seem more effortless and less of a struggle and you feel supported. Vaastu Shastra is an ancient architectural design science that explains how to create environments in accordance with the laws of nature so that inhabitants experience support and prosperity. Like Feng Shui, Vaastu acknowledges patterns of energy that govern and shape all living beings – explaining why we feel uneasy in some environments and why we are uplifted in others. Thousands of years ago, the ancient sages in India saw the influence of these cosmic energies on living beings and they created a system of formulas for building auspicious homes and buildings by aligning them with specific energy patterns. Vaastu practitioners work with the perceived and imperceptible energies that surround us, using the ancient formulas to create environments that resonate positively so the inhabitants experience more meaningful and harmonious lives. Vaastu Shastra originated 7,000 to 10,000 years ago in India. Vaastu means "abode" and Shastra means "knowledge". Vaastu comes from the same vedic wisdom as yoga, meditation, and ayurveda. Research shows that Vaastu principles of dimension and orientation were utilized in the construction of St. Paul's Cathedral, the Vatican, Stonehenge, the Egyptian and Mayan Pyramids, the Taj Mahal, and the Roman Coliseum. The Tirupati temple in South India, which is the richest temple in the world, was constructed according to the principles of Vaastu Shastra. Vaastu is not about magical cures. It is built on formulas and practices developed from ten thousand years of observations about the energies of the cosmic universe and how the physical, psychological and spiritual order interact with man's built environment. Man does not inhabit this earth alone. He lives amidst other natural forms and is in touch with energies and elements that are perceptible and beyond perception. Man's energy is linked with energy forms and he is part of kala, the cosmic cycle of time and death. These links are the unseen energies we usually experience as the "vibes" of a particular place. Carelessly disturbing spaces – or building a structure in which the natural order is ignored – can be as dangerous as fooling around with live electrical wires. In fact, Vaastu warns that living in a discordant environment can unleash negative energies so powerful they can cause everything from infertility and accidents to relationship conflicts, disease, poverty, and insurmountable obstacles. Vaastu, however, can help bring environments back in line with the natural order. An expert practitioner can apply Vaastu principles and formulas to nurture your partnership with the dynamic energy of the universe, creating abundance and clearing the way to the life you desire. Feng Shui or Vaastu: Which is right for you? As a recognized expert in both Classical Feng Shui and Vaastu, Rupal Turner will use the best methods from either – or both – sciences based upon your present needs. Whether you wish to make your home more harmonious or your business more prosperous, Rupal can help make an immediate difference in your environment… and your life. 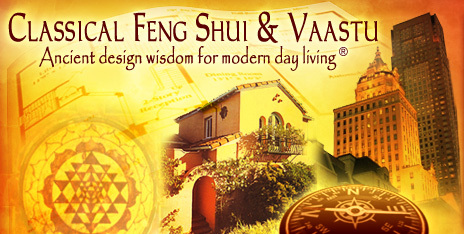 Please call (800) 892-7612 or email info@classicalfengshui.com or click below to learn more about Feng Shui and Vaastu services available for residences or businesses. Click here to see a list of residential Feng Shui and Vaastu services. Click here to see a list of business Feng Shui and Vaastu services. Click here to see a list of long distance Feng Shui and Vaastu services. Copyright © 2007-2018 Rupal Turner - All Rights Reserved Worldwide.